Irish Rail operate the main passenger and freight railway lines in Ireland. Their network extends to approximately 1900 km. However there is another rail network in Ireland whose network length probably exceeds this total length. 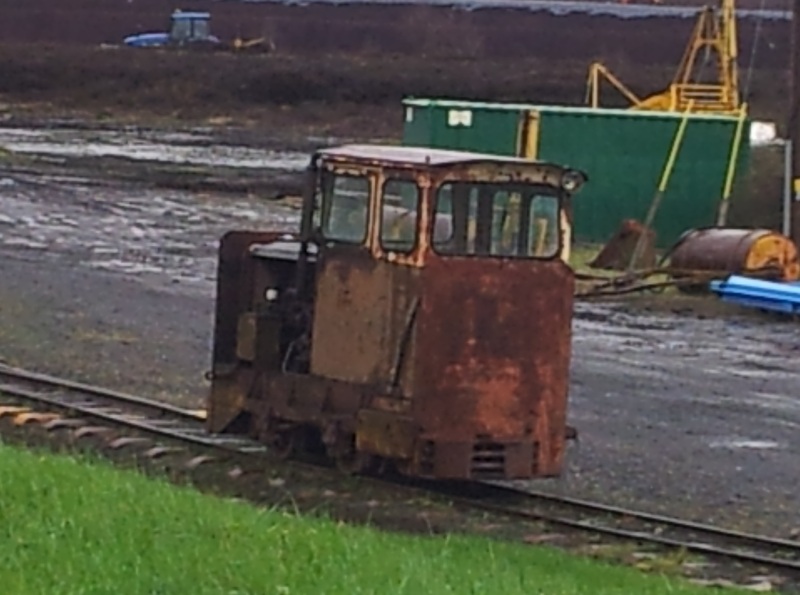 This is the narrow gauge railway used to extract peat from Irish bogs. 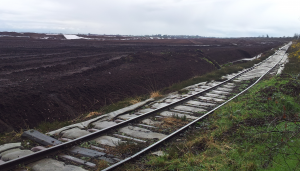 Prior to the recent discovery of oil and gas, peat was Ireland’s only domestic source of fuel. It is also used for horticulture. 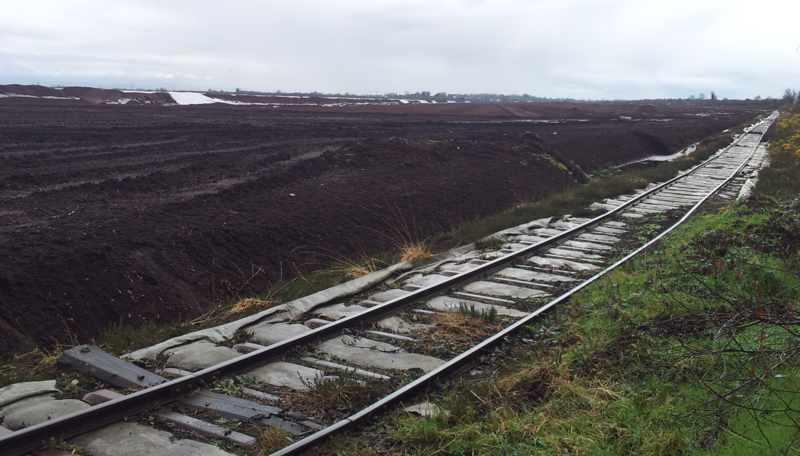 The rail network was first developed in the 1950’s and is owned and operated by a semi-state company, Bord na Mona. It is estimated to be the largest private railway in Europe. It is a mixture of gauges of 610mm (2 feet) and 915mm (3 feet) and operates as a number of stand alone networks. These extract peat from numerous individual bogs and transport it to various power stations, factories or depots. 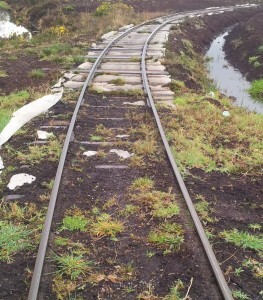 The network is comprised of permanent rail sections and temporary ones. 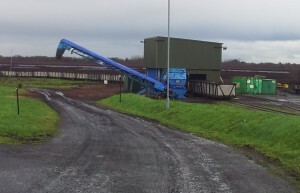 The temporary sections are laid to extract peat in certain areas, and once the peat is exhausted they are then removed and relaid elsewhere. 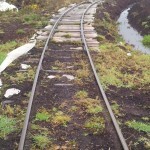 Up to 300 km of track are relaid in this way every year. Around 200 small diesel locomotives operate on the network, transporting up to 4 million tonnes of peat a year. The railways are mainly located in Counties Kildare, Laois and Offaly with smaller sections elsewhere. I visited a bog between the County Kildare towns of Staplestown and Prosperous and took some pictures. The bog itself can be viewed on Google Maps below and zooming out will reveal the extensive number of large bogs (bright orange colour) in the Midlands of Ireland. For more information on this interesting and little known rail network see the following excellent and very informative web page, click link here. My own photographs are below. 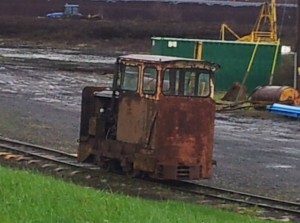 Irish peat bog railway loco, still in use, but looking a bit worn. We are developing a 36inch gauge peat railway in Lincolnshire and Yorkshire.